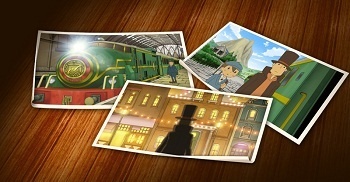 Want to see more games like Professor Layton and White Knight Chronicles? Your wish has been granted. Level-5 announced it is working to create a new company presence in America. If you've ever been frustrated hearing about great games that were Japanese exclusives, then this could be good news for you. Want to see an English release of the Level-5 and Studio Ghibli (Princess Mononoke, Spirited Away) collaboration game Ni no Kuni? This is what could make it happen. Level-5 has worked with other companies for overseas releases, so the formation of the American studio would allow it easier access to the American market. With an American foothold, Level-5 wants to expand its releases overseas. The announcement, which came as part of a presentation for potential new employees, also touched on the future of Level-5's game library. When answering a question about whether Level-5 will be releasing more PlayStation titles after its large DS library, CEO and founder Akihiro Hino said Level-5 was "...currently producing titles for PS3, Wii and so-forth. (The format, etc.) are unannounced. However, we develop for the DS because we determined that it was the most suitable machine to put out a new title. We've been researching and developing for consoles, but when making a product under our own brand, we must make sure that it is 'a product with a chance of success.' I believe we'll soon be able to announce a new console title." The products mentioned were said to be Level-5 specific titles such as Professor Layton and Izuma Eleven, ruling out the current potential of games such as Dragon Quest X and White Knight Chronicles 2, which were collaborations with other companies. Level-5 is ambitiously expanding its holdings in hopes of catering to a wide audience. With Hino's enthusiasm about reaching out to American audiences, it's possible we'll be seeing much more from Level-5 in the coming years.